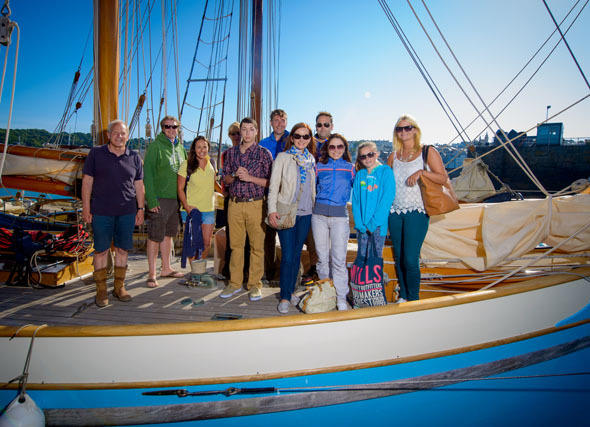 Four families have expressed how much they enjoyed a recent trip to Herm that was organised by the Set Sail Trust and sponsored by The Channel Islands Co-operative Society. 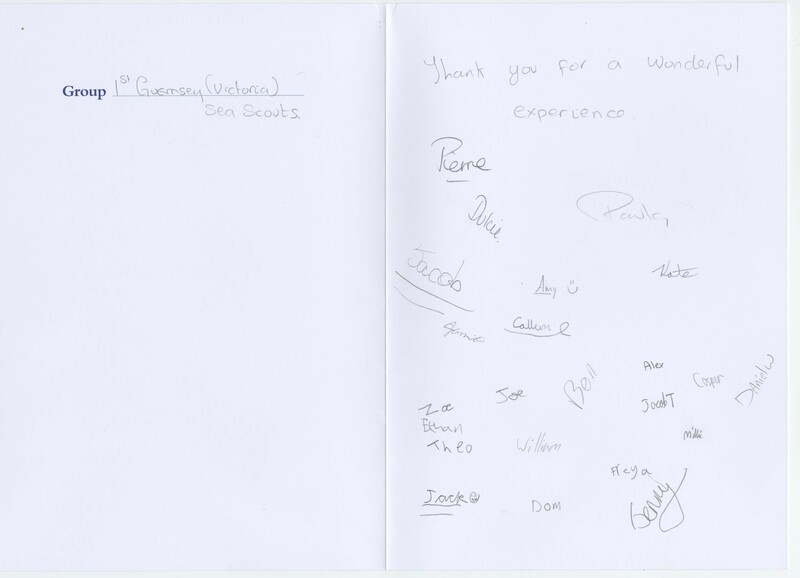 Nine children and their parents, who have all recently been affected by a family bereavement, were treated to a fun-filled activity weekend on the island. The families have all been supported by The Sunflower Project, which is run by Barndardo’s and staff from the project also attended the weekend. In the morning Outdoor Guernsey took the group kayaking around the coastline and there was time for some beach football too. No trip to Herm would be complete without lunch at the Mermaid Inn and after refuelling the families headed off to learn how to handle a bow and arrow. Teens and youngsters all enjoyed the archery and then it was back to the Mermaid for tea and cake. 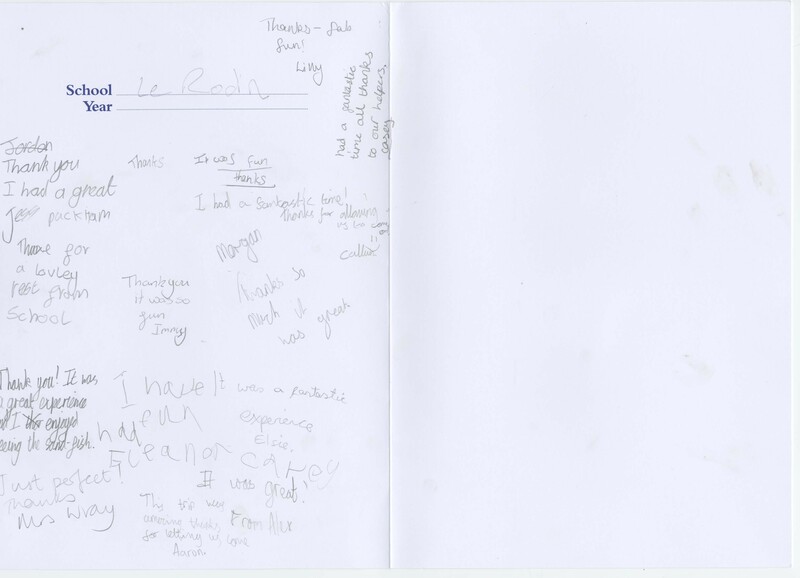 ‘It was all fun!’ reported one of the children. 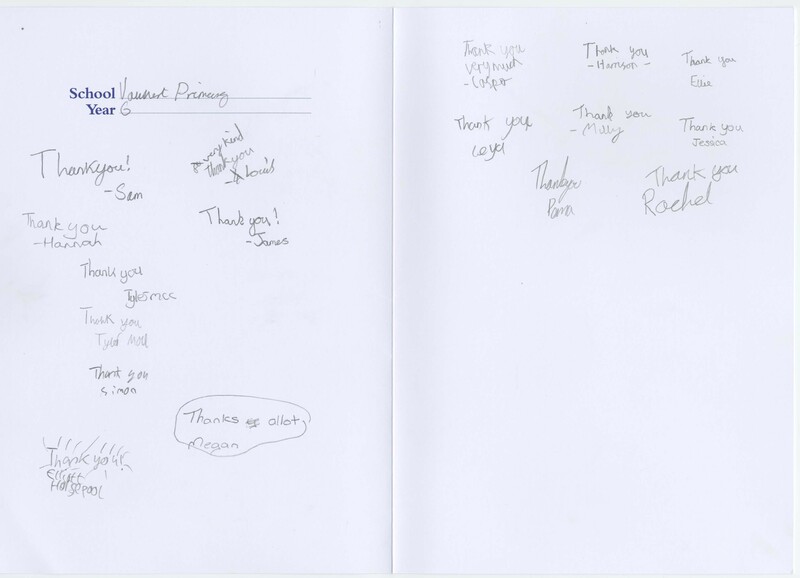 ‘Thank you for the things you organised today, I loved doing archery and would love to do it again. I really enjoyed it,’ said another. The weekends are organised by Andrea Nightingale and the Set Sail Trust for families each year and are designed to meet different objectives. Previous Herm trips have helped children with special educational needs, or who need to build confidence or develop better behaviour patterns. After an overnight stay in the picturesque Herm cottages the second day got underway with bacon sandwiches for breakfast and family beach games before the group headed back to Guernsey on the Trident. 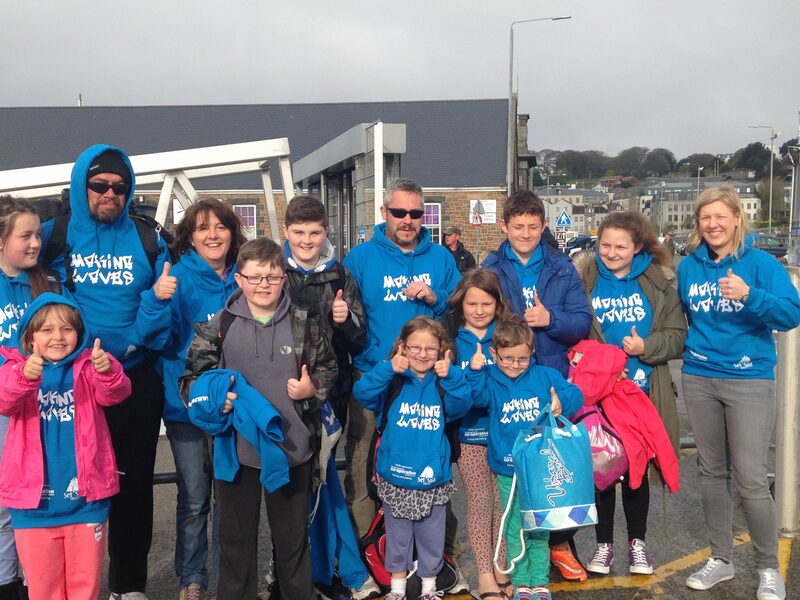 The Channel Islands Co-operative Society also ensured everyone took home a bag with a hoodie and t-shirt. 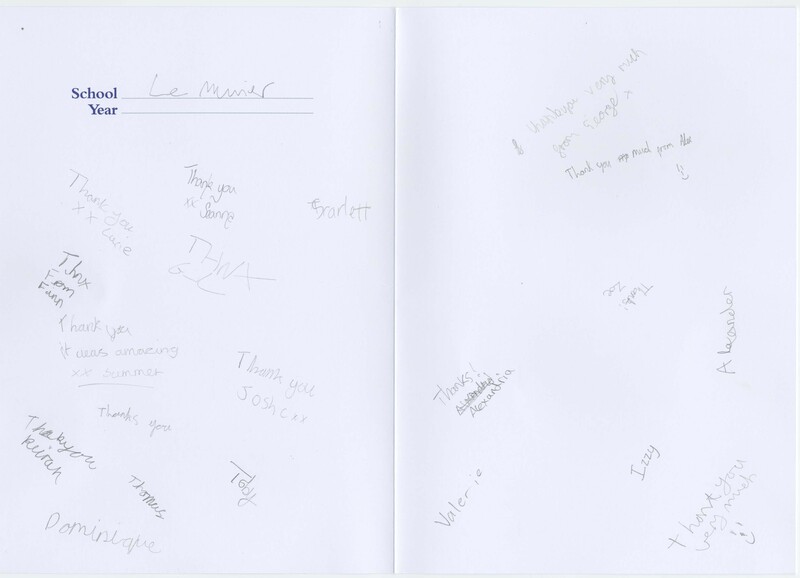 ‘On behalf of the Sunflower Project I would like to say a big thank you. The weekend was an amazing opportunity to give some bereaved families some time to relax and be with others who really understand. It was a privilege to take part and witness so much kindness and courage,’ said Denise Ozanne, Barnardo’s Project Worker. 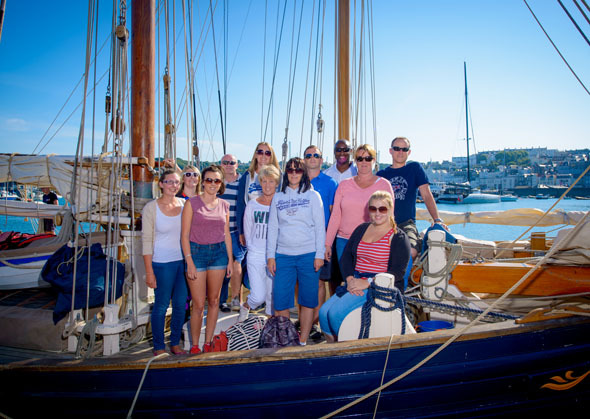 The Sunflower Project, which is a Barnardo’s service based at the HUB, works with bereaved families in Guernsey and is just one of the local groups to work with the Set Sail Trust on these special weekends. 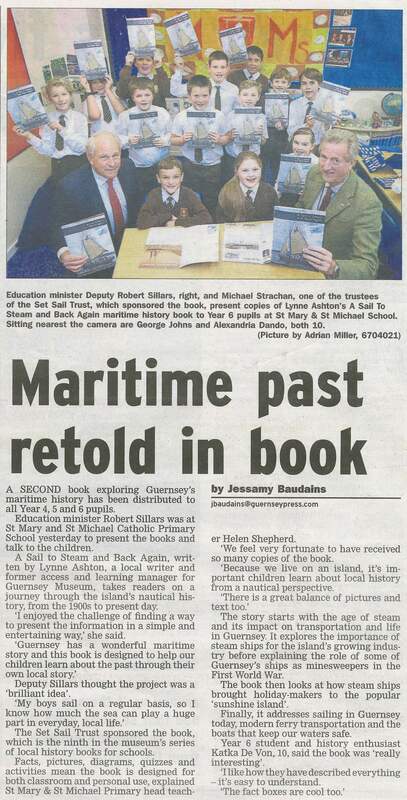 The Set Sail Trust brings Guernsey’s maritime history alive for school children. 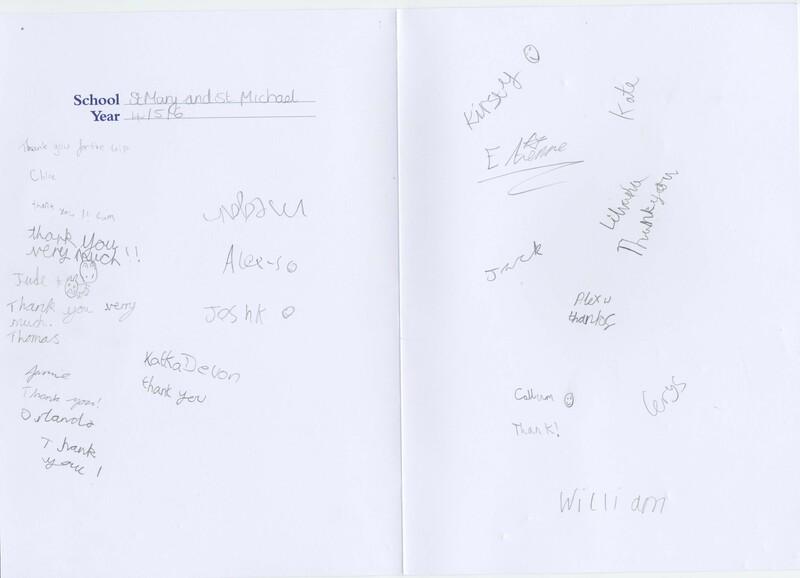 The Set Sail Trust is behind a second book that is being distributed to some of Guernsey’s primary school children this week. A Sail to Steam and Back Again takes readers on a journey through the island’s maritime history from the 1900s to the present day. Full of interesting facts, pictures and diagrams, quizzes and activities, the book can be used in class or enjoyed by children at home. The story starts with the age of steam and its impact on transportation and life in Guernsey. It explores the importance of steam ships for the island’s growing industry before explaining the role of some of the Guernsey’s ships as minesweepers in the First World War as well as the brave sailors who lost their lives. After the war, steam ships brought holiday-makers to the ‘sunshine island’ and Guernsey’s tourism industry boomed. The book brings readers right up to date, looking at sailing for pleasure, modern ferry transport and the boats that keep our waters safe for everyone. 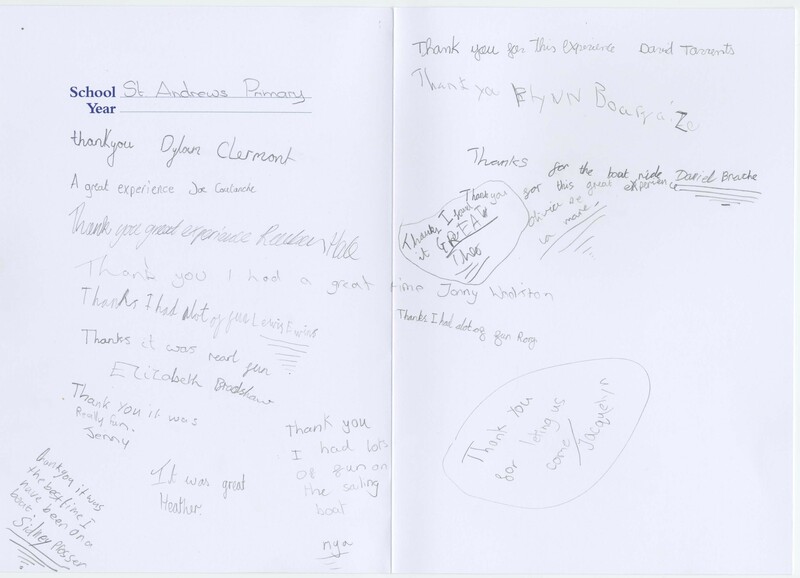 Year 4 pupils will receive the A Sail to Steam and Back Again book, which has been written by Lynne Ashton, of Guernsey Museum, who says: ‘I am delighted that the second book tracing the story of Guernsey’s Maritime story will soon be in schools. I enjoyed the challenge of finding a way to present the information in a simple and entertaining way. Another successful year with the Bristol Cutters. 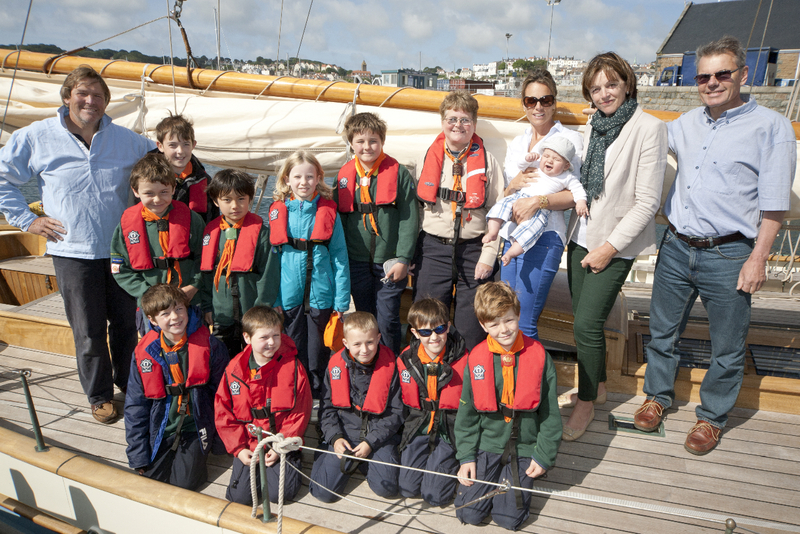 In June 2014, two replica Bristol Pilot Cutters sailed out of St Peter Port harbour for nine days and gave around 350 local youngsters a taste of the high seas. 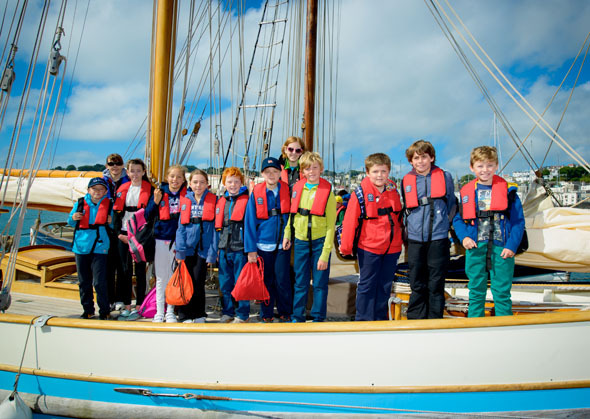 24 State primary school groups and nine other youth groups were treated to a trip out on the water thanks to 10 local businesses that sponsored the ships. This local maritime initiative continues to gain popularity and schools and sponsors are already signing up for next year. The Amelie Rose and the Merlin are keen to return for 2015 and skipper Nick Beck commented that this Set Sail Trust programme is unique in his annual sailing calendar. The Set Sail Trust is already planning the 2015 Bristol Cutters visit and urges companies to sign up early to become a corporate ambassador. 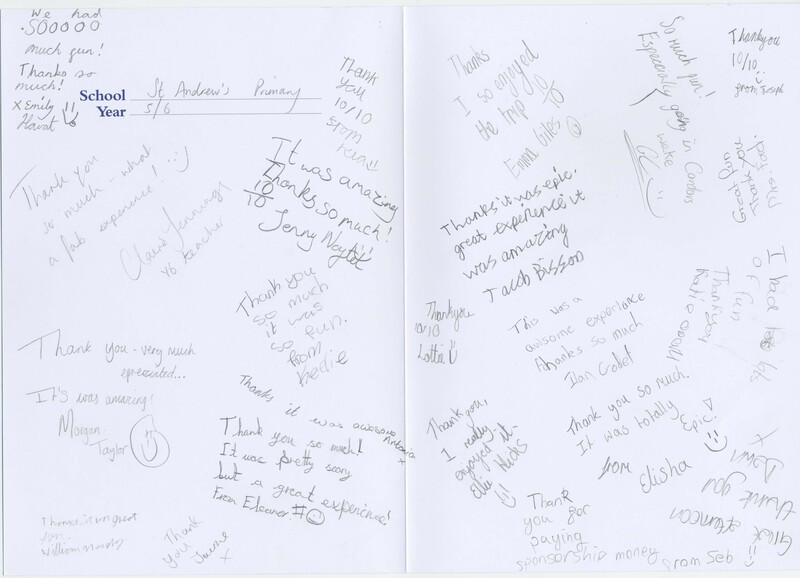 The lovely Thank you cards to the Companies who donated money enabling the schools to Set Sail. The James Whalley High Flight Charity has signed up to sponsor a day’s sailing for two community groups. 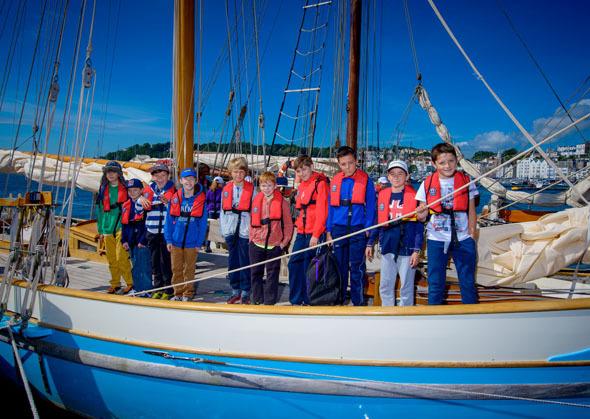 St Martin’s Cub Scouts and the Adult Mental Health Group will enjoy sailing a traditional wooden pilot cutter ship as part of the Set Sail Trust’s annual Bristol Pilot Cutters Week. 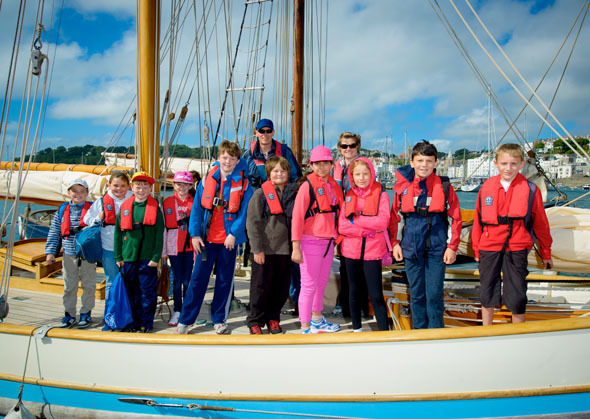 Two replica Bristol Pilot Cutters have taken over 300 school children and under privileged groups out on the water as part of weeklong activity that is in its fourth year. 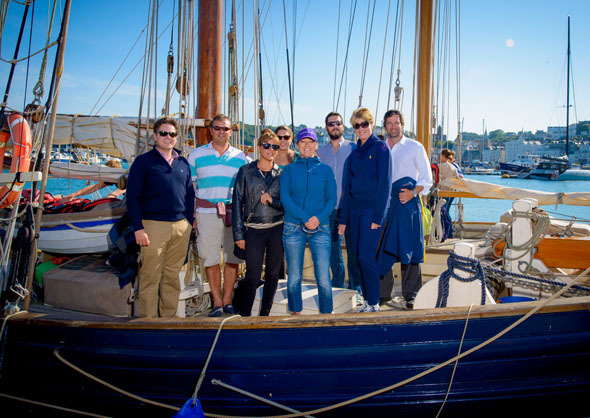 During the day the Amelie Rose and the Merlin have been kept busy with over 35 groups coming on board and in the evening eight Corporate Ambassadors raced against each other in the Bristol Cutters Evening Challenge. 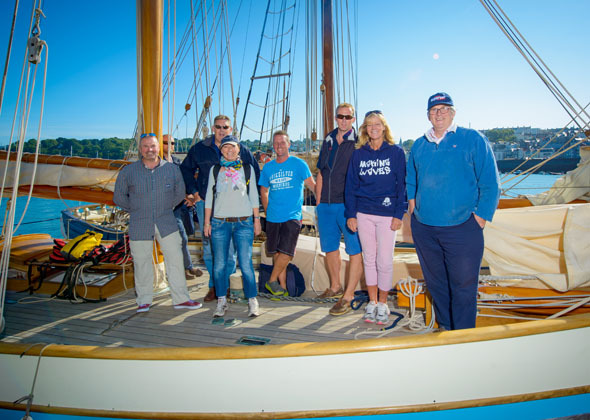 It is their generous support, along with the James Whalley High Flight Charity, that has helped the Set Sail Trust continue this annual event. 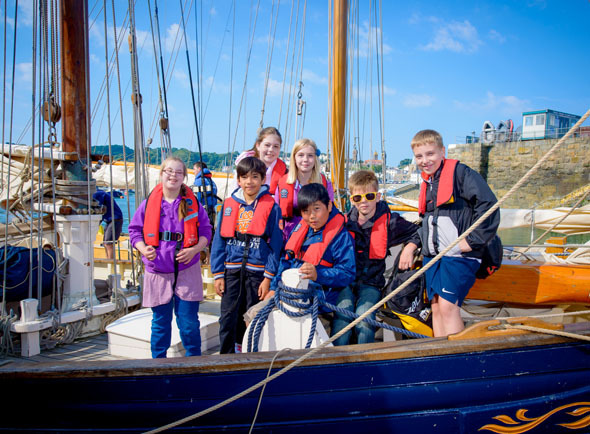 The primary aim of the Set Sail Trust is to make maritime-based activities accessible to a wider audience as well as teaching the community more about maritime history. The Bristol Pilot Cutters were traditionally used to guide merchant ships through the treacherous Bristol Channel and their reputation for speed and efficiency in difficult waters is well deserved. 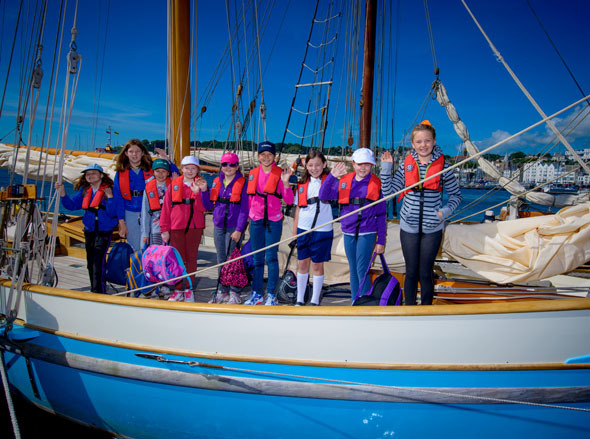 As well as bringing history alive, the sailing builds confidence and helps to teach children boating skills such as rigging the sails, navigation basics and how the tides behave. Along the way there is fun, excitement and of course plenty of fresh air and exercise. 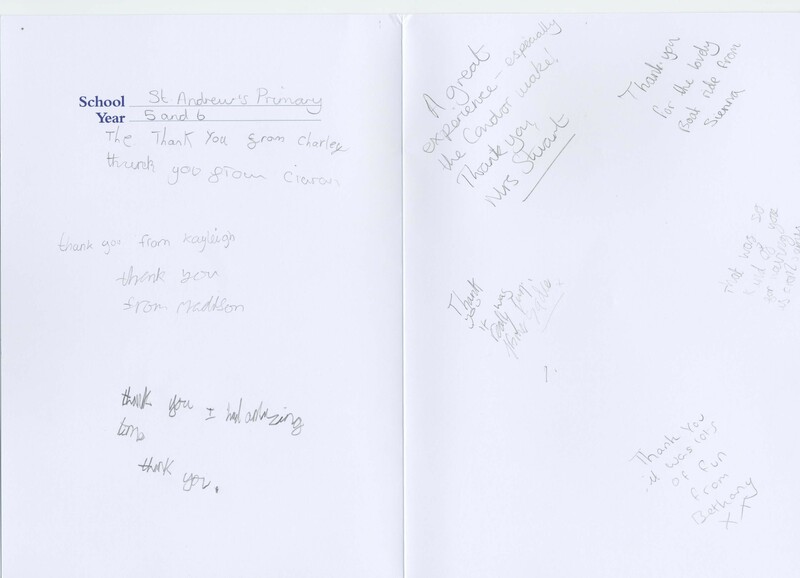 Children from a number of the Bailiwick’s primary schools (years five and six) were invited to set sail on the two Bristol Pilot Cutters. 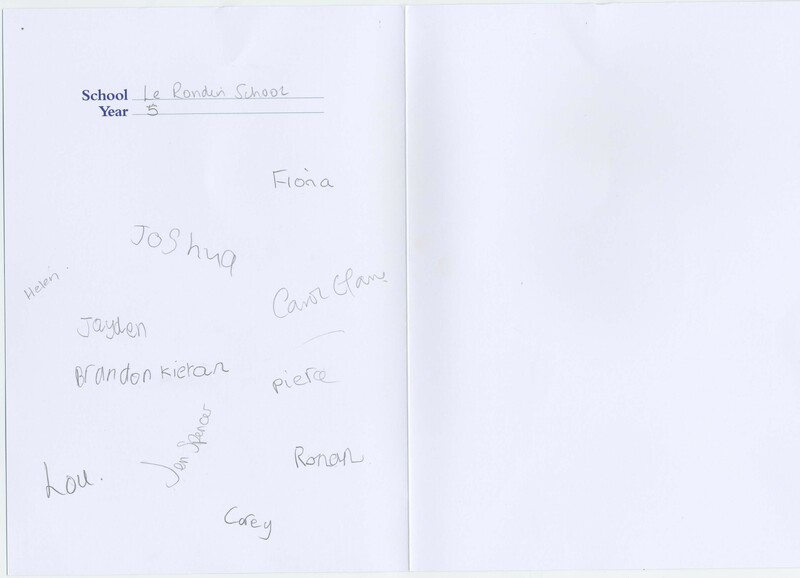 Pupils from Vauvert, Haute Capelles, Le Rondin, Le Murier, St Andrews, St Anne’s have all taken part. 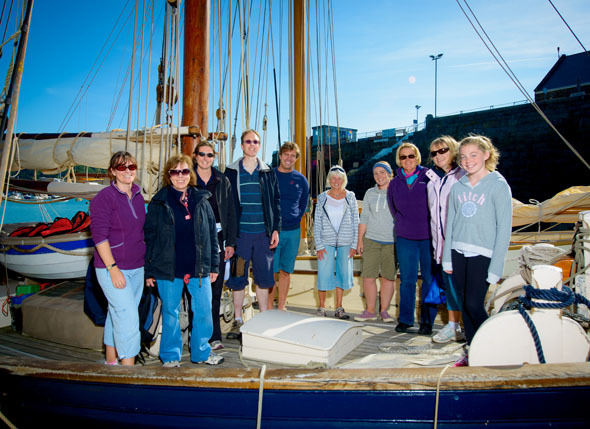 ‘We’re excited to have the Bristol Pilot Cutters visit Guernsey again this year. It continues to be a popular event amongst children and special needs or under privileged groups and we thank the sponsors who support the Set Sail Trust in funding the boats. Children and adults alike come back on shore windswept, happy and full of excitement about their adventure. It’s become a highly anticipated event in the Set Sail Trust’s calendar,’ states Michael Strachan, Managing Director of International Asset Monitor, one of the Set Sail Trust’s four trustees. Businesses Come Together To Put The Wind In Kids’ Sails. 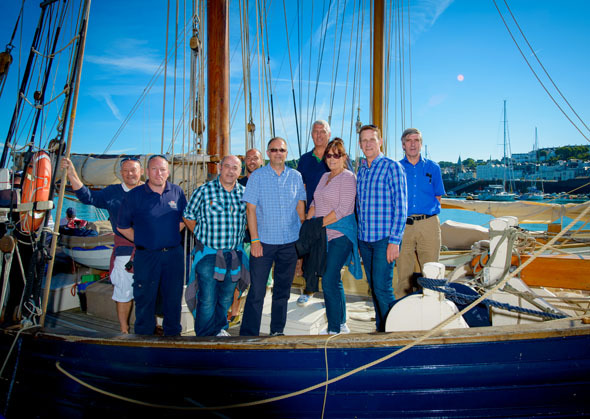 16th June 2013 will see two replica Bristol Pilot Cutters sail into St Peter Port for the fourth consecutive year, thanks to the continued support of the Set Sail Trust and local businesses. 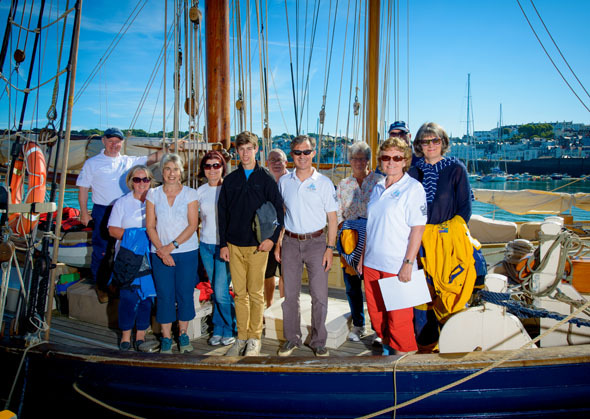 The 60ft wooden hulled classic ships will sail off Guernsey all week, taking over 300 school children and under privileged groups out on the water. 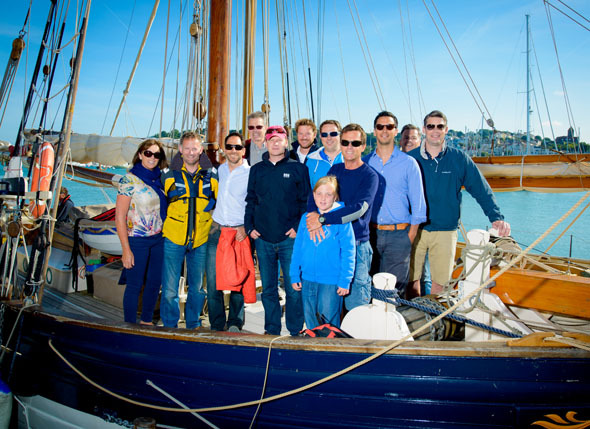 During the day the Amelie Rose and the Merlin will be kept busy with over 35 groups coming on board and in the evening eight Corporate Ambassadors will race against each other in the Bristol Cutters Evening Challenge. It is their generous support that helps the Set Sail Trust continue this annual event and for the first time they will be joined by a group from Government House, led by His Excellency the Lieutenant- Governor, Air Marshal Peter Walker. This year the Merlin will stay on for an additional three days, which has enabled even more groups to enjoy this exhilarating experience. 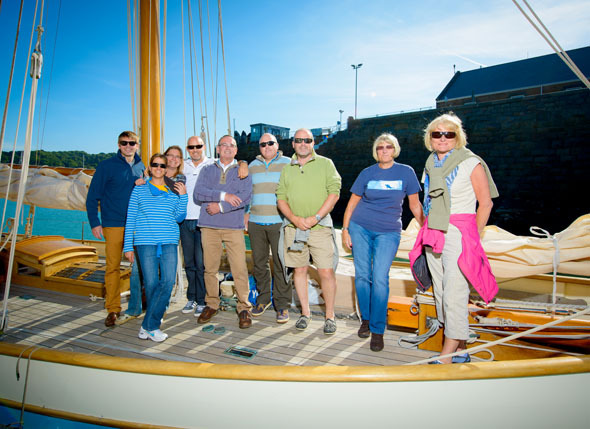 ‘We’re excited to have the Bristol Pilot Cutters visit Guernsey again this year. It continues to be a popular event amongst children and special needs or under privileged groups and we thank the businesses who support the Set Sail Trust in funding the boats. Children and adults alike come back on shore windswept, happy and full of excitement about their adventure. It’s become a highly anticipated event in the Set Sail Trust’s calendar,’ states Michael Strachan, Managing Director of International Asset Monitor, one of the Set Sail Trust’s four trustees. 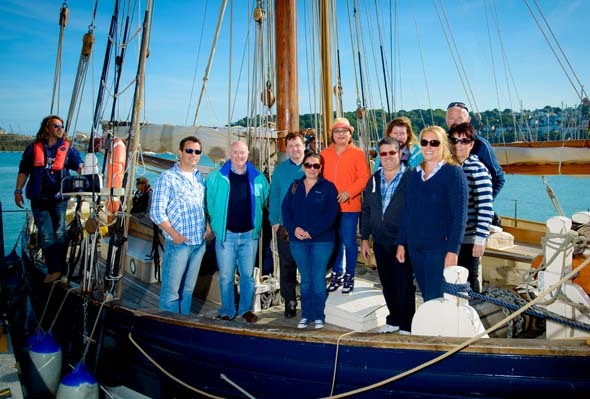 This year eight businesses have signed up to be Corporate Ambassadors, sponsoring a boat for the day and each enabling at least 20 children or special needs adults to enjoy the experience of sailing these historic ships. Mercator Trust, Ogier, International Asset Monitor, Ipes Guernsey, Trust Corporation, OCS, Price Waterhouse Cooper, RBS International have all been generous in their support. 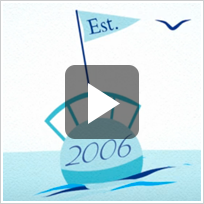 See who and what the Set Sail Trust have helped over the last 7 years . 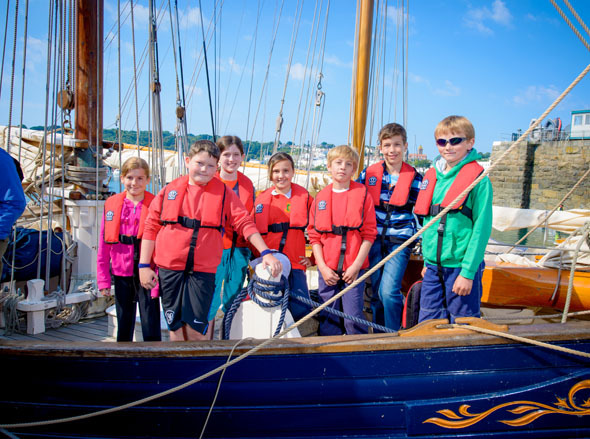 By supporting Set Sail Trust you will be helping others in the local community who wouldn’t normally get access to a range of nautical activities. Guernsey’s youth clubs, schools and activity groups now have access to ten new canoe and kayak BCU Level 1 Paddlesport Coaches, thanks to co-funding from The Set Sail Trust.